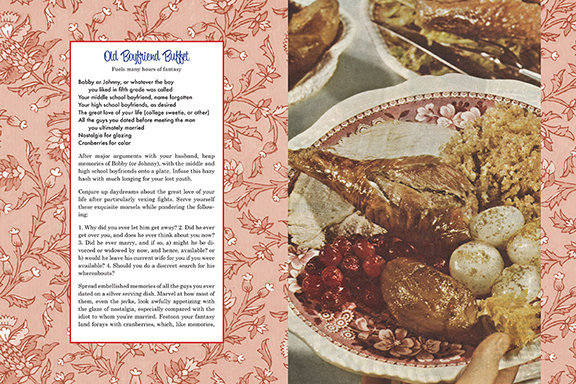 The limit edition artist’s book Secret Recipes for the Modern Wife (left) grew into a conventionally published book, published by Simon & Schuster, NY, 2009. It was also taken off the pages to be displayed as a wall installation. 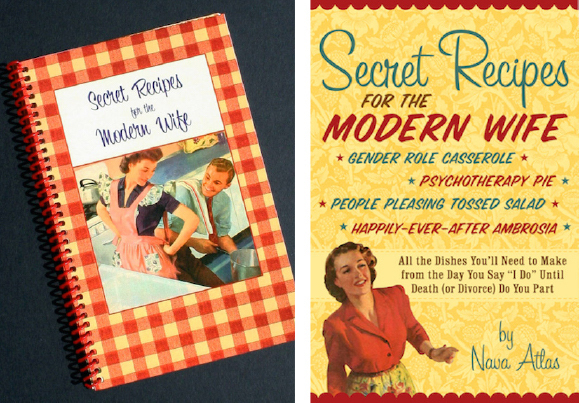 Flavored with frustration, simmering with rage, and iced with affection, these “recipes” will make you laugh as you multitask your way through the challenges and joys of matrimony. 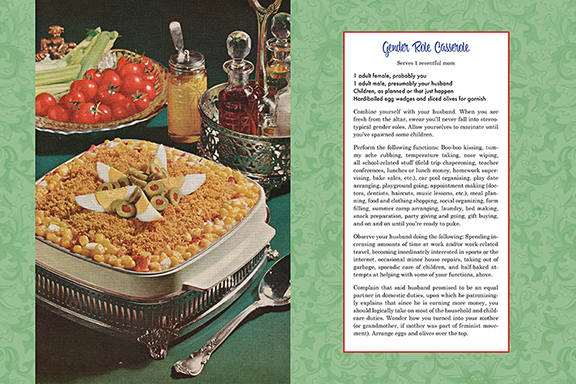 Whether you’re a new bride or an old hand at marriage, it’s always handy to find fresh and fascinating “recipes” to add to your repertoire. Enveloped in them are the secrets — delicious, distressing, and everything in between — that accompany women on their marital journeys. Though she grills societal norms with gleeful relish, Nava Atlas never loses sight of marriage’s simple, loving rewards. The result is a feast of retro art, sly wit, and cultural commentary. No woman will be able to read this without thinking of five friends she must share it with!